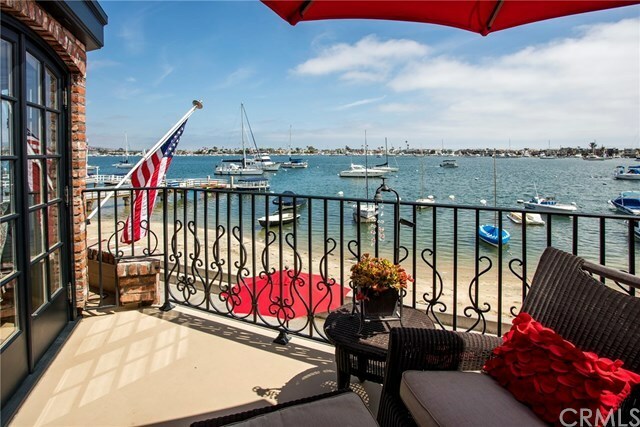 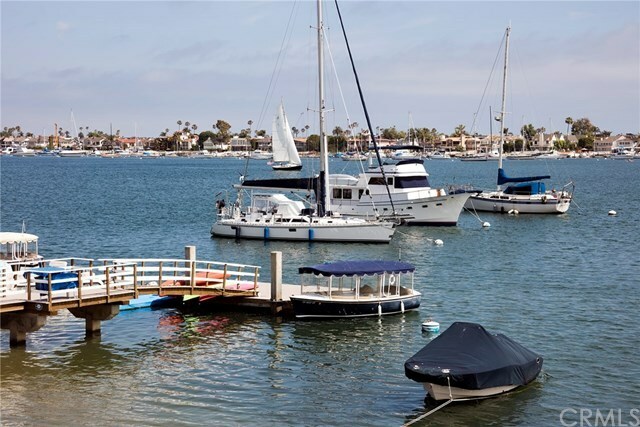 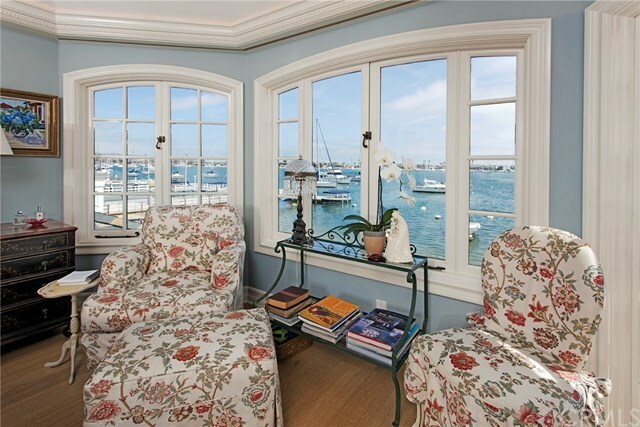 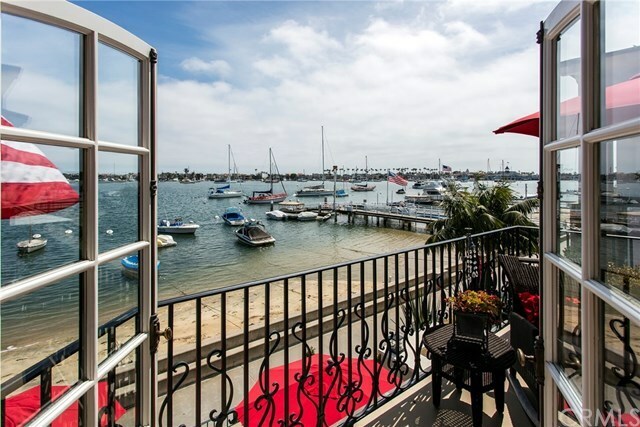 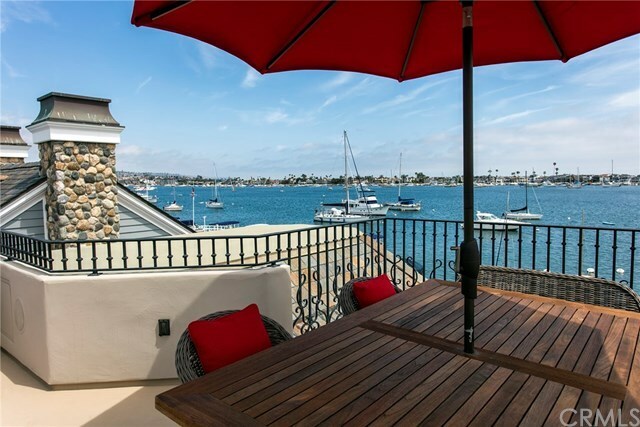 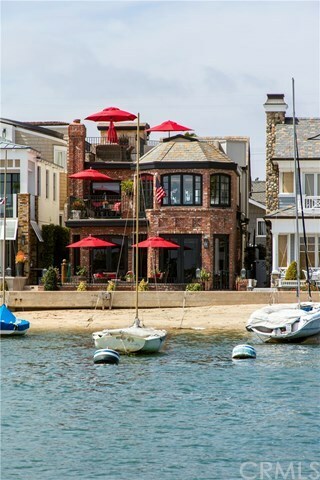 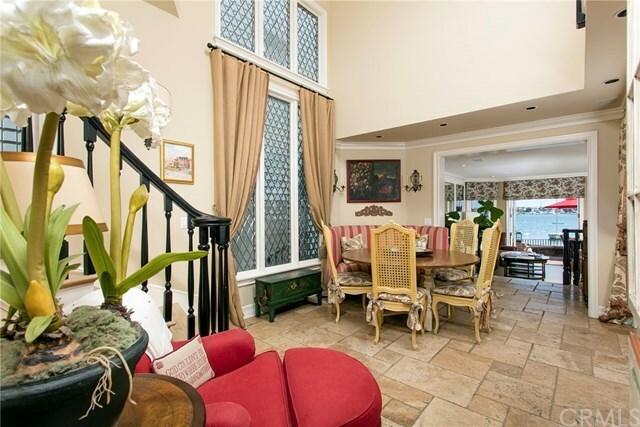 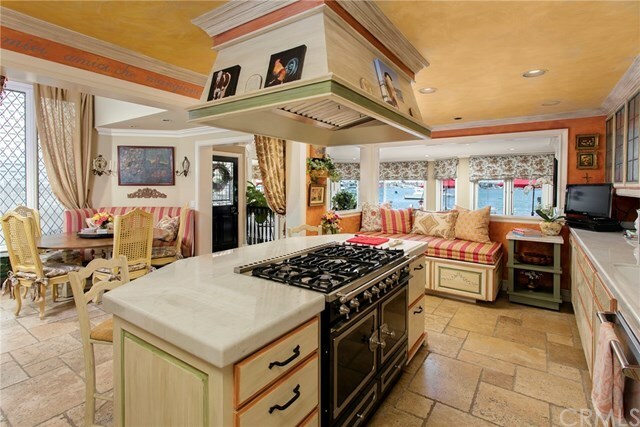 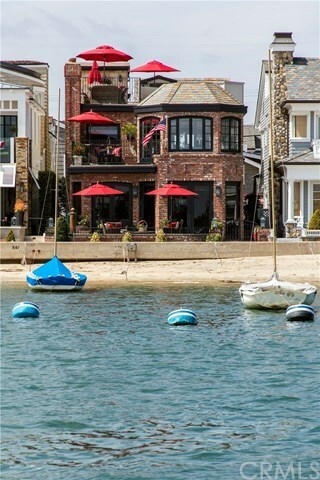 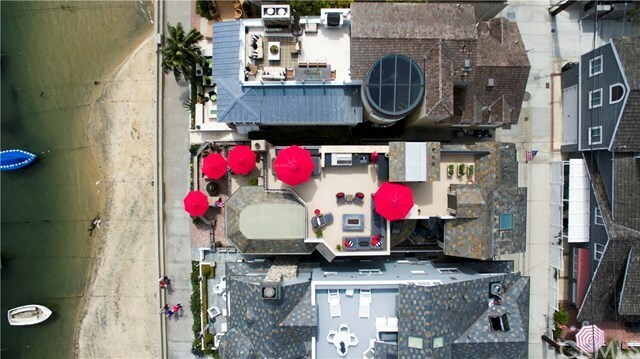 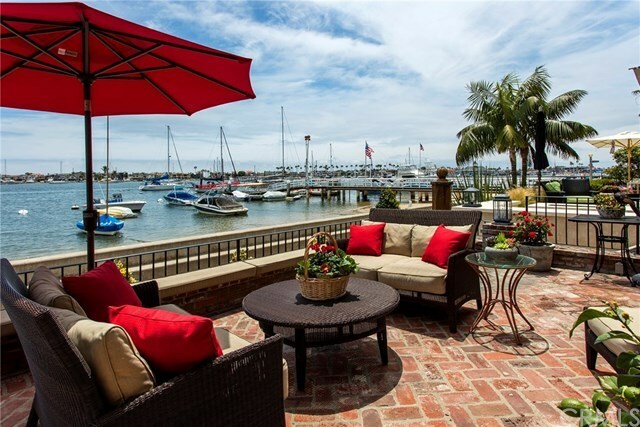 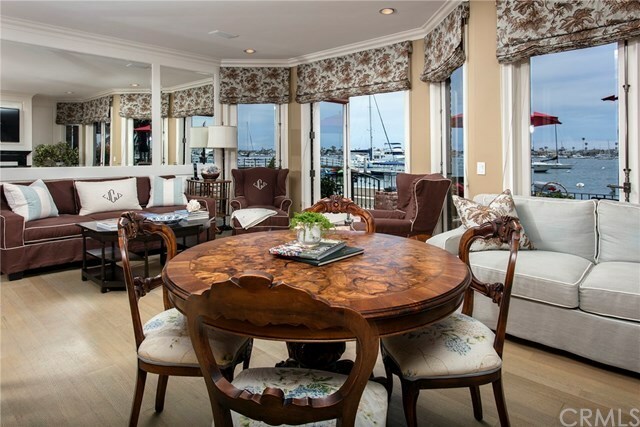 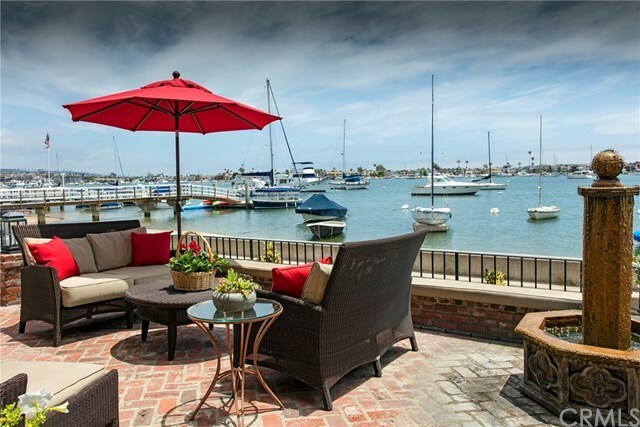 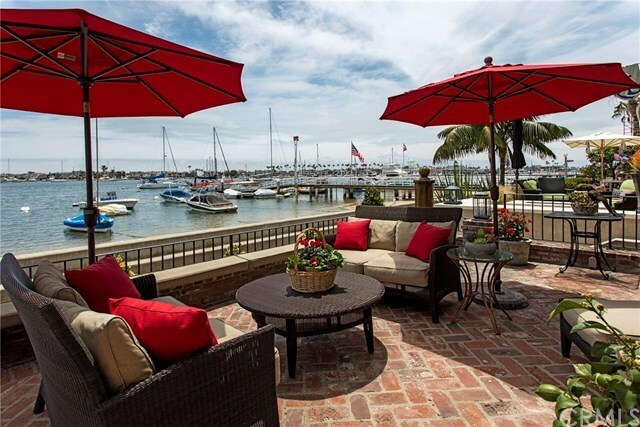 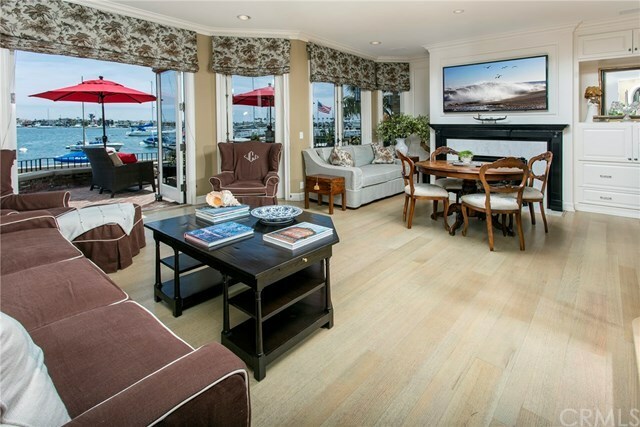 Situated on the coveted waterfront of Newportâs famed Balboa Island, this stunning three-story home offers a lifestyle of distinct luxury as well as spellbinding views of the bayâincluding the Pavilionâwhich are enjoyed throughout the entire residence. 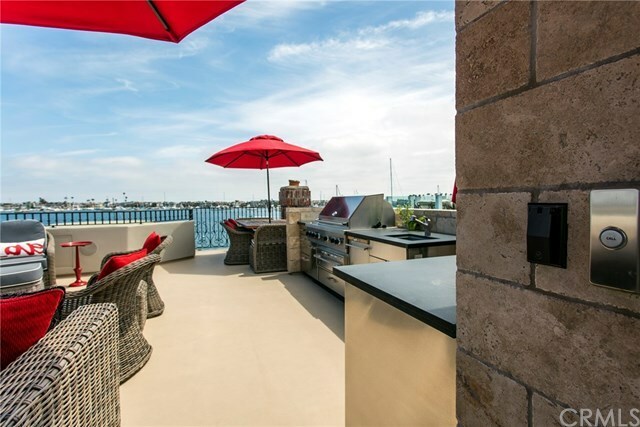 A weatherproof HD TV thatâs raised and lowered with the push of a button graces the homeâs elaborate rooftop deck, as does a full kitchen with endless amenities. 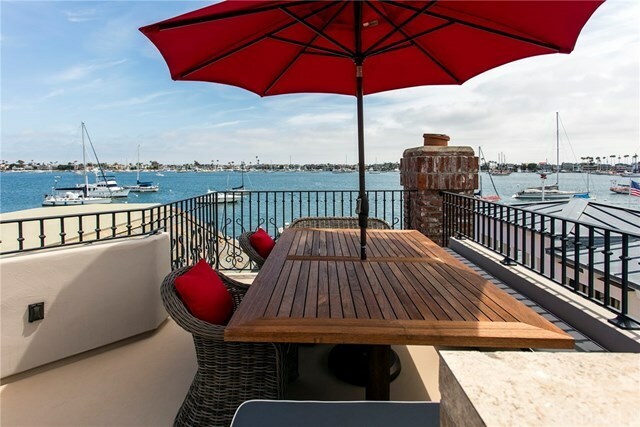 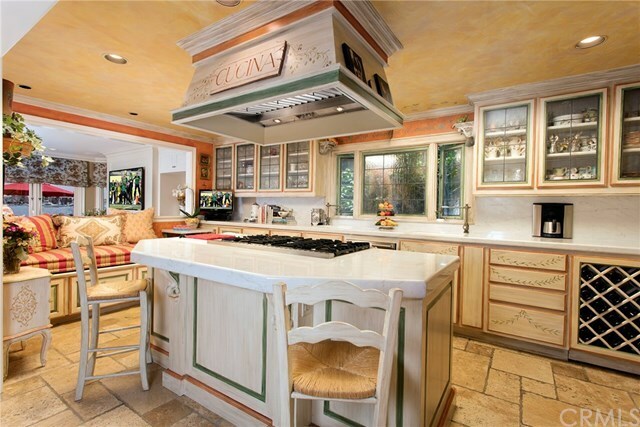 Three additional balconies promise even more in the way of indoor/outdoor living, while two additional kitchensâone for everyday use, and one for catering chefsârender the home a dream for any epicurean. 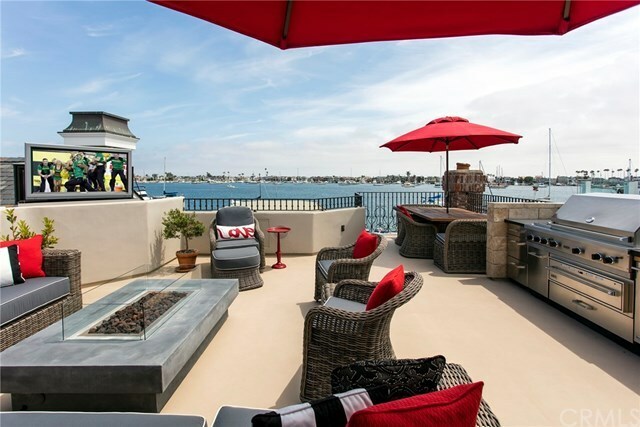 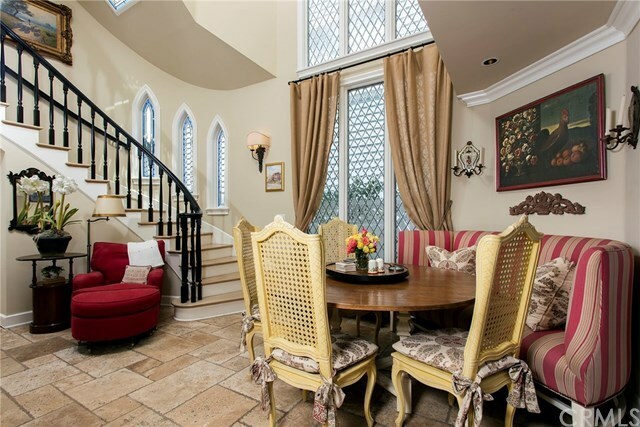 The home features a total of three bedrooms, including a decadent master suite complete with hidden electric shades in both the bedroom and bathroom, features a fireplace, surround sound, two walk in closets and a private balcony, promising the utmost in comfort and relaxation. 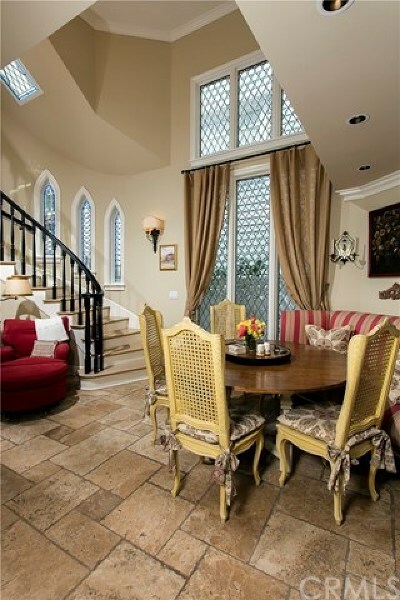 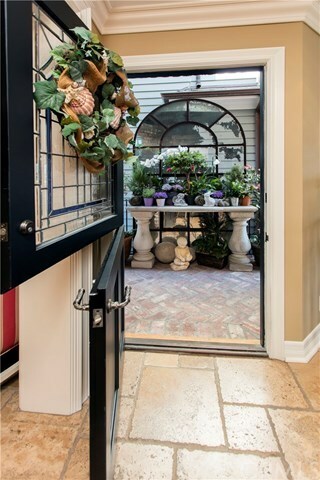 Custom leaded glass windows, floors clad in quarter-inch red oak planks and limestone, a charming office with custom lighted cabinetry, and an elevator servicing all three levels are just a select few elements that contribute to this one-of-a-kind residence. 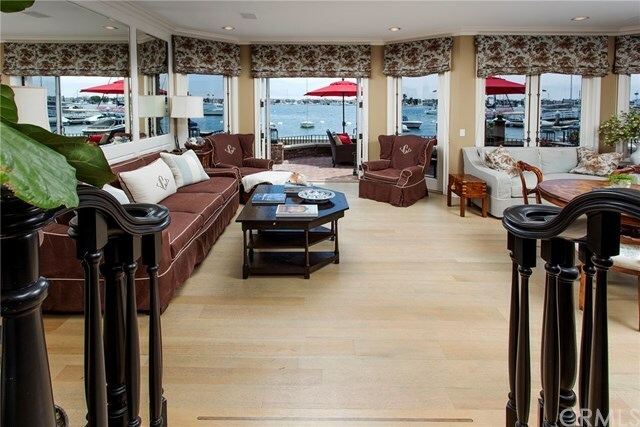 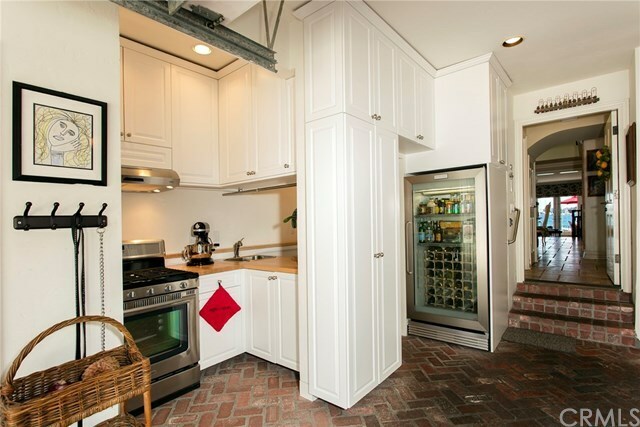 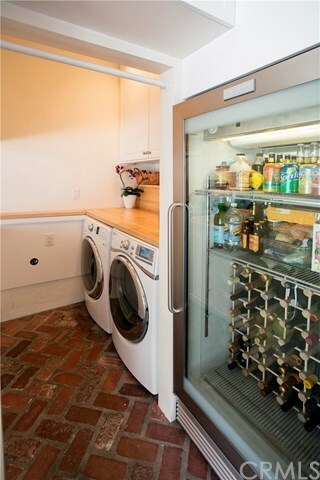 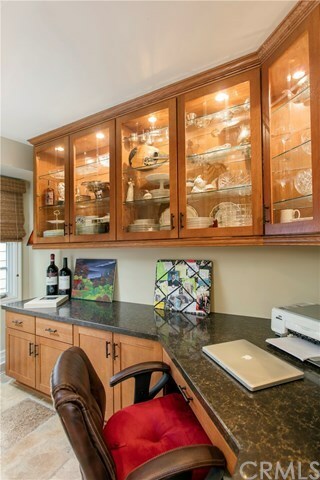 A large storage room on the roof deck adds a level of convenience and practicality to this gorgeous waterfront home.